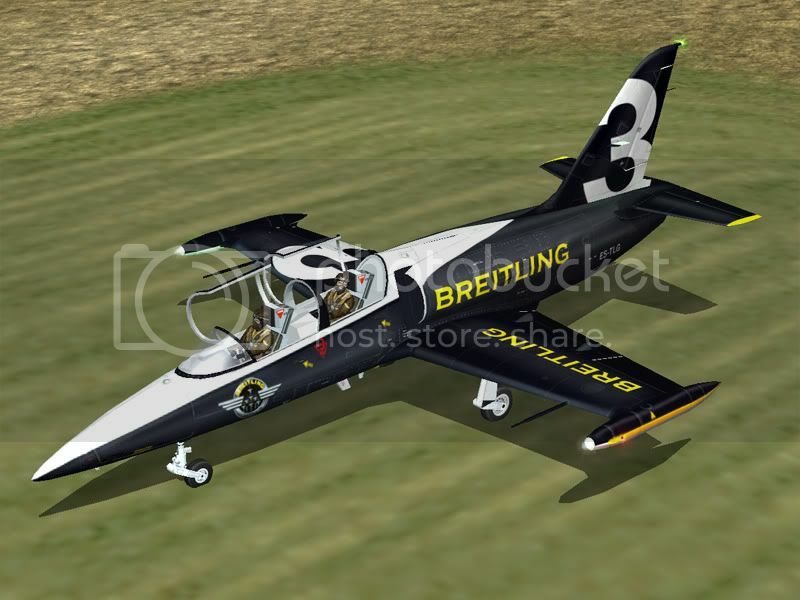 The Aviator Mod Team and Ferté Alais Virtuelle presents the L-39C! Please note this is a Work In Progress. This mod has been developed and managed by the Ferté Alais Virtuelle for their project. 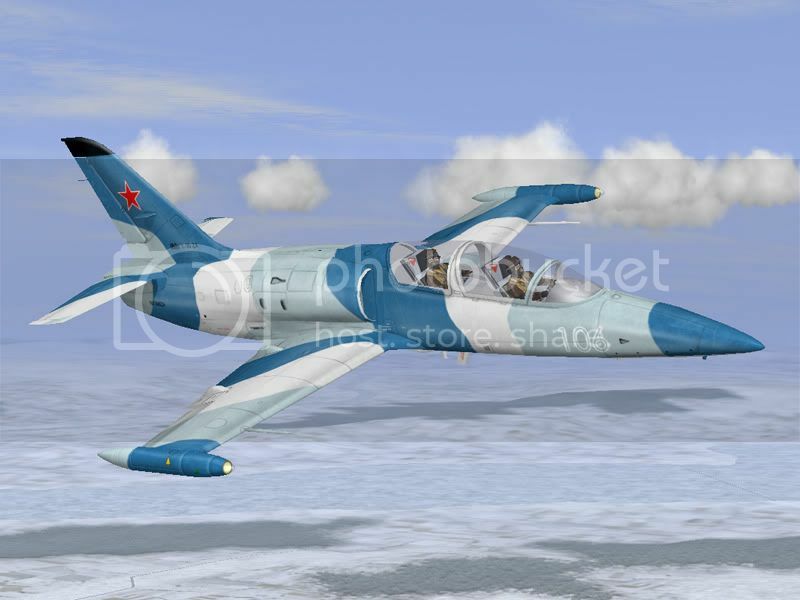 http://storebror.it.cx/sas/archive/sas2/AMT/L-39C_Patch_4.2.7z (Delete old L-39C folder before installing, includes L39_Default pilot skin and UV map). Please note that original pilot skins are no longer compatible. The area around the face has now changed. For this reason a default pilot skin is provided. For ease of use please try and stick to L39_***.bmp for pilot skin names. 256x256 bitmap and if I remember correctly there must be no spaces in the file name or it will cause crashes. Please note if you are using UP3 you will need DiffFM. If you are using DBW you will not need DiffFM as it is already there in the base installation. Other mod packages/setups have not been tested and are not supported. - Dual seat works online, you can jump into the back seat and join in the ride. - New default skin by Phas3e. - Moved WingTip vortex hooks. - Instructor (back seat pilot) will now turn head and look around at random. - Fixed second ejector seat 3D bug. - Second pilot can now also bailout. 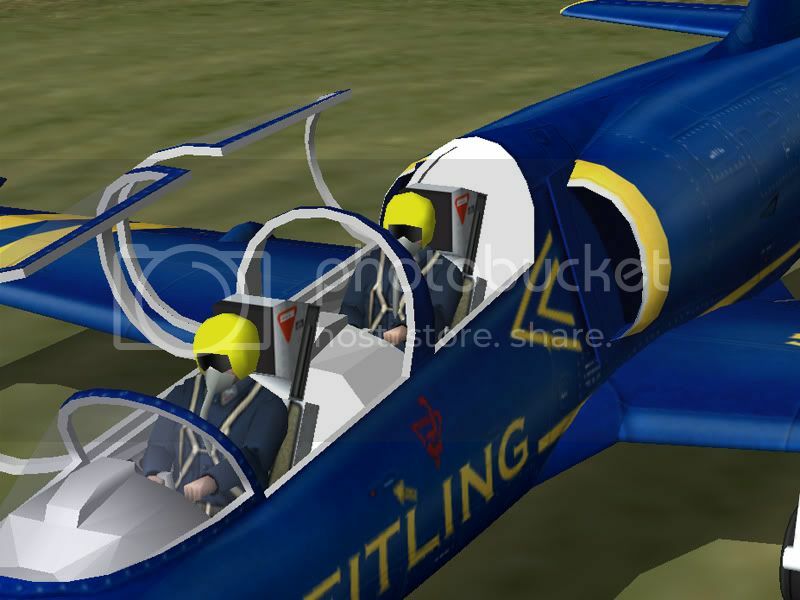 - Ejector seats fitted to both pilot positions, instructor ejects first if the seats are used. - Fixed canopy animation and added second canopy animation. - Removed trainer loadout, now comes default with 2 pilots. - Small updates to flightmodel. - Fixed flap fully lowered angle, 44 degrees. - Flap usage limited to 310kmh TAS and lower. - Folder split for L-39 Sounds, these will not be changing in the foreseeable future and so future uploads will only include main folder. This aircraft has been designed for aerobatics, as such it has no guns or things like damage models. Please feel free to play with it and report any bugs or comments about the flightmodel etc... Note that the real life engine takes 9 seconds or so to go to full power, this one has been modified to 3 seconds for aerobatic purposes. It is likely a separate flight model will be made that will use the civilian engine that is less responsive closer towards the final product. Pink_Tigger is experiencing computer problems and is currently away so there are some limitations to what can be done on the 3D side at the moment. Hopefully when he comes back these problems can be resolved. - Rear canopy is ejected during bailout even though canopies are open. 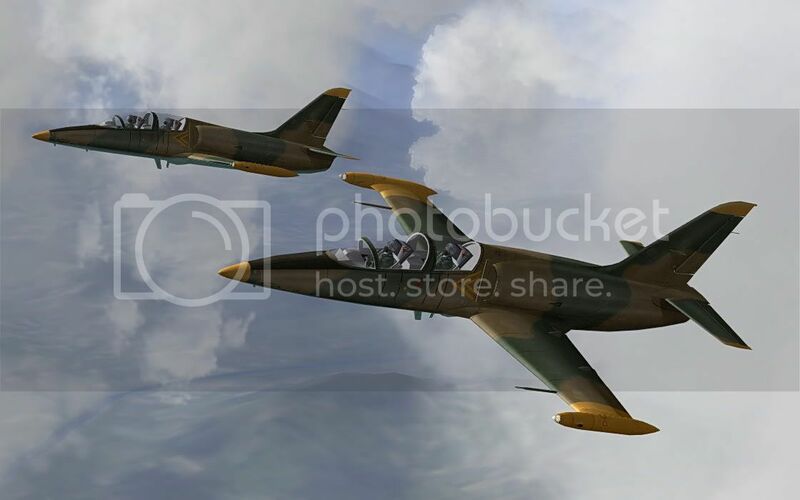 and Frecce Tricolori Virtuali for MB-339 Sounds. Version 4.1 for 4.09 users ! Wow! More later. I'm speechless right now. AWSOM! One more Jet for the count! in this Beta, there's no skin included... we are still working about 8 différents skin of existing acrobatic team ... will be release in final ..